The making of this puzzle is quite simple, really. But putting it together will drive your friends mad. The next time you want to create a stir, give this puzzle as a present or get it out a party. How good are your puzzle-solving skills? Check the handy chart to find out. These types of puzzles are so much fun, we’ve put a second puzzle pattern in the article attachment as a bonus! Step 1: Prepare the wood. Using a rag, dampen the top surface of the board with water to raise the grain. When dry, sand with 220-grit sandpaper and once smooth, wipe down with a tack rag. Spray paint with black latex paint. After the first coat has dried, sand with 220-grit and wipe off dust. Then apply a second coat. Finish the preparation by applying a clear spray finish. Step 2: Affix the pattern to the black surface with temporary bond spray adhesive. 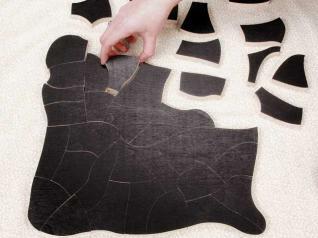 Step 3: Cut the puzzle, making sure you make the first five cuts in the order shown on the pattern. The suggested cutting order will segment the puzzle into five sections and eliminate the need for any 90-degree turns. 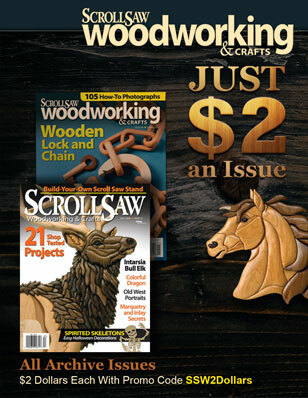 The first cut divides the puzzle into two pieces, making it easier to cut on a 16″ saw. Be sure you cut completely through the puzzle sections. And make sure you don’t make any 90-degree turns. Sharp turns like that will leave little gaps from the blade that interrupt the smooth flow of the puzzle lines. Those gaps can give the person assembling the puzzle hints of where the pieces go. Paint both sides of the puzzle, and it really becomes difficult to assemble. Prepare the bottom surface as detailed in Step 1. 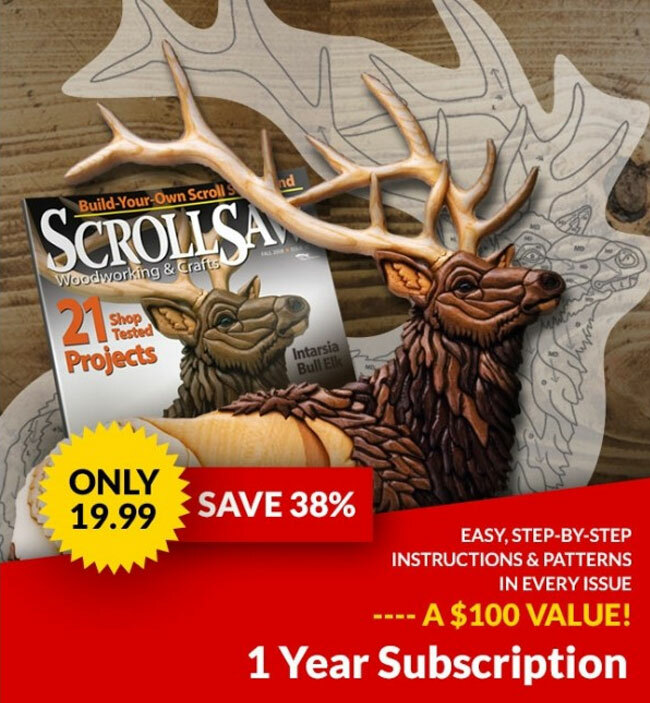 Use temporary bond spray adhesive to affix a piece of paper to the completely dried bottom surface to protect it from damage as you cut it on the saw.